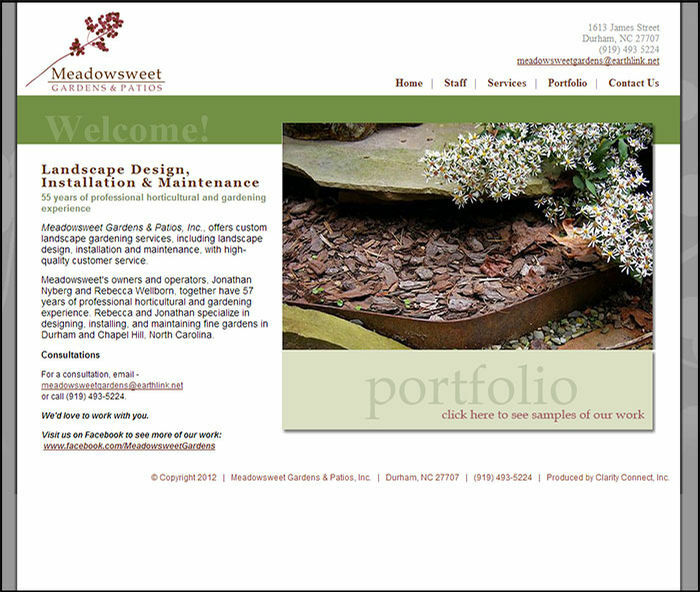 MeadowSweet Gardens and Patios offers landscape design and maintenance primarily in the Triangle area of North Carolina. Their specialty is patio design, hence, their name. They were looking for the most cost effective way to invest in marketing to grow their business and chose Clarity Connect for its robust, easy to use suite of Content Management Tools.